Since our opening in 1977, Glenwood Foreign Car has earned its reputation as the areas preferred service center for foreign car repair. We utilize the latest technology and diagnostic systems, and perform simple and comprehensive auto repair services for the tri-state area. Our auto service technicians are skilled at quickly diagnosing and pinpointing solutions to problems, saving you valuable time and money. 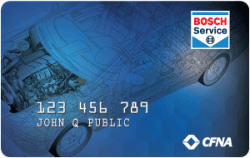 We have also partnered with Bosch Service as an independent service center. This new partnership provides our customers peace of mind that we have the standards in place to service your vehicle and use of Bosch auto parts where available. Bosch is the worlds largest original equipment manufacturer. Contact us today to schedule service or ask questions about your vehicle.